We are delighted to be working again with Paul Gibson from Campervan Brewery, based down the road from the Abbeyhill Colonies, in brewing COA2018 Festival Ale. 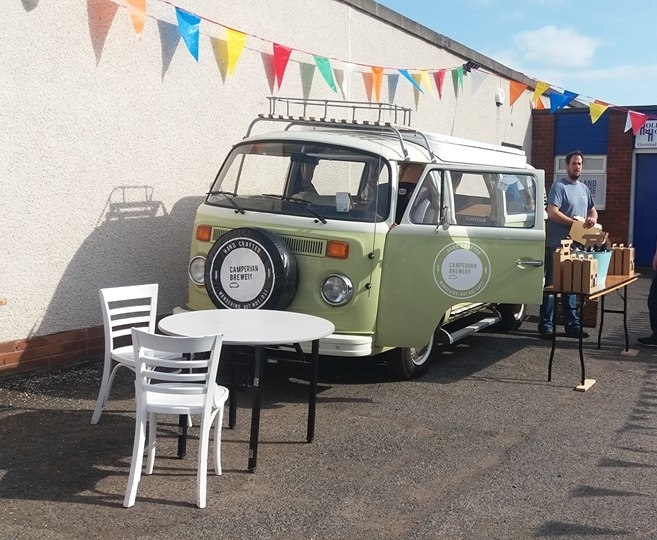 During our festival weekend you can’t miss the vintage VW Campervans at the Hive where you will be able to sample our COA beer and purchase beer related gifts to take home with you. New for 2018 we welcome our friends at Century General Store on Montrose Terrace who will be offering a delicious selection of sandwiches and other delights to enjoy while listening to the music at the Hive - so sit back, relax and enjoy! You will be able to buy our special, limited edition, Colony of Artists beer at Cornelius Beers & Wine, 18-20 Easter Road. Cornelius have always been strong supporters of the festival and you can check out our special window displays while you are there! COA Festival Ale will also be available on draft and bottles from selected local pubs and speciality shops - a list will be provided shortly!